As you go though a divorce, it tends to take on a life of its own and you lose perspective of your life as a whole. One day in the midst of moving boxes, I sat down with paper and pen and I took inventory of what was important to me. It was during my reflection that I was surprised to realize that my painful divorce was low on the list. My inventory consisted of my happiness, my children’s health and happiness, my business, my friends, my faith, my upcoming move to a new house and the adventure that awaited me in this new chapter of my life. 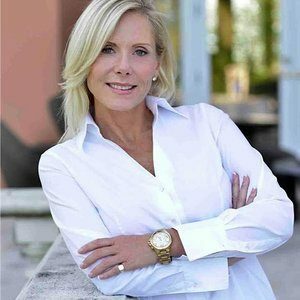 It took this crisis of a divorce to make me take an inventory of what was important, and I was shocked to find that my divorce didn’t even cross my radar. The pain of my divorce had been so great that I assumed it still was important. Well, it wasn’t and how I wish I had made that discovery a long time ago. At the time, my divorce and its impact on my life was foremost on my mind, but when it was over, I allowed it to become so entrenched that it continued to be at the top of my inventory list of important things. Divorce is painful on many different levels and consumes your every breath, but here is the epiphany I had amongst those moving boxes. As you travel through your divorce, continue to take inventory of what is important to you that is not related to your present situation. Don’t get so deep in the pain that you lose sight of all the other things that surround you. 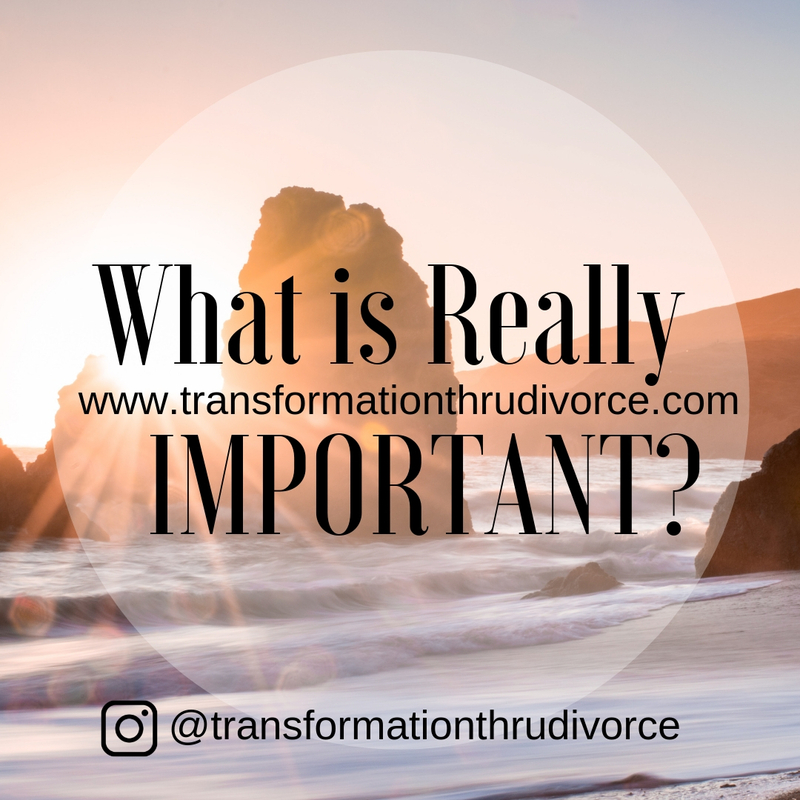 It is absolutely paramount that you focus on all that has to be done during the divorce to ensure the best possible outcome, but once it is over, move on to the real important things. All the things that will carry you forward into your new life and remain with you forever. Divorce is temporary, time limited and will only remain at the top of your inventory list if you allow it to. As I looked out my window and watched the sky turn grey and the drizzle turn into a downpour, my only thoughts were of all the things I wanted to do when the sun came out. Treat your divorce the same way. Keep your perspective by keeping an inventory of what is really important and I promise, the sun will come out if you do.